In contrast to my recent gourmet gluten-free musings, some dispiriting events have put me in a bleaker frame of mind lately. Picture the scene: I'm three (or four) ciders in to a summer evening in the pub, with similarly sozzled revellers around me. One of them, drooling into his pint, says: "I really love beer. If I were coeliac, I'd kill myself." "I mean, imagine if you could only eat celery for the rest of your life. It's just WORSE." This is your life, and it's ending one celery at a time. Leaving aside this chilly vision of an all-salad dystopia, hearing people gasp about the horrendous limitations of the gluten-free diet is usually the point where I jump in to extol the virtues of gluten-free beers, bread and baked goods. As all free-from folks know, all of these have come in leaps and bounds over the past few years, meaning coeliacs aren't denied the pleasures of cookies, cakes and donuts (provided they know where to look). But I wonder if the celery argument isn't actually coming from a place of ignorance about gluten-free food; could it be a simple as snarky belittlement? After all, it's the same species of comeback you'll hear any time a vegetarian dares to describe the enjoyment of meat-free cuisine; some joykill carnivore is bound to come along and scoff, "Well, it's still not steak, is it." On the gluten-free side, what you'll hear is this: "You've got pasta, but it does taste a bit different, doesn't it." "You've got donuts, but you can't have Krispy Kremes." "The pizza's a little dry..." You could present a giant-sized gluten-free banquet table that stretches off into the sunset, packed with three-tier gluten-free cakes, loaves of gf bread the size of Audis, pizzas that could blot out the sun, and some naysayer would still say, "Yeah, but it's not the same." The implication being, "You're still limited. Your enjoyment of life still isn't quite as full as mine." No one would deny that coeliac is less convenient than non-coeliac (and we gluten-freers certainly don't need reminding of that). And I don't want to derail into a discussion of whether there's any objective gauge of human pleasure (which would you prefer: 50 years of eating only celery, 10 years of eating anything you want, or a lifetime free from navel-gazing thought experiments?) 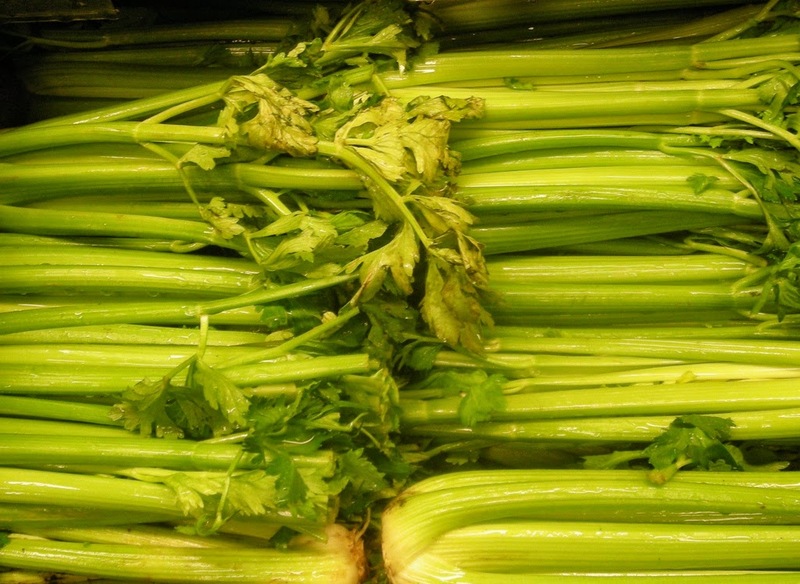 With Celery Guy, it may come down to something as banal as callous oneupmanship. In this context, it's a low blow, considering someone's permanent and uninvited health issues are at the core. It never fails to surprise me to hear people openly crowing over the coeliac lifestyle ("ugh, I couldn't do it") or insisting that our lives are just pitiable, but I do hear it repeatedly. It's hard to picture people patting themselves on the back to this extent while patronising people with other health problems (but perhaps it does happen?) Is it the norm to wax on to someone with knee problems about how marvellous it is to be able to trampoline? And how any trampolining they do just wouldn't be as much fun? Because of their knees! So even if you think you're having fun, knocky-knees, you aren't! So make sure you have that inferiority at the forefront of your mind next time you're trampolining, ha! 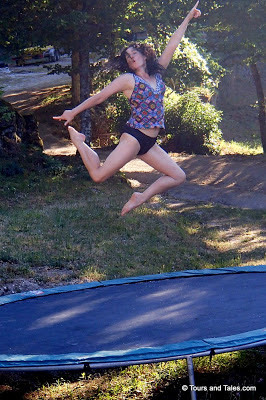 Because if you're not as frickin' awesome at trampolining as I am - why bother? The next day, Celery Guy wrote me an email apology saying that he'd spoken out of turn and regretted causing offence. I was relieved to get acknowledgement of this, but I did wonder: was he merely sorry to have unwittingly dumped his side-splitting hyperbole onto a coeliac? Or did he, on reflection, recognise the ugly implication behind his words? I picture Celery Guy relating this story from his own point of view, maybe to a chorus of sympathisers all grunting, "Well mate, I'd kill myself as well - no beer OR bread?!" Maybe they'll wince that he was just unlucky to have spoken out of turn to the wrong audience. The unspoken core issue - the corrosive need to prove that you're winning at life over someone else, and perhaps even the lack of confidence that all this braying suggests - will sit unexamined. I work with the Frank Food company and have produced Frank bars - gluten free, dairy free and nut free snack bar, made with 100% natural ingredients.